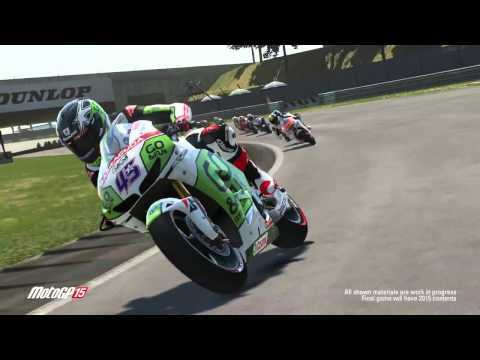 MotoGP 15 is the natural evolution of the greatest world motorcycle league videogame series, sporting loads of new features and improvements! Combining authenticity with absolute realism creates a total immersion into the world of MotoGP™. AI riders have received a boost with faster avoidance algorithms, improved timing performances, and smarter direction changing logics. The bike and the rider are now in a complete symbiosis, with each bump, kerb, and slide under the bike felt by the rider, who reacts accordingly with ultra-realistic motion-captured animations. Increased track detail, slippery kerbs, real sand particles, and synthetic grass enrich the race itself. Improved shaders, tarmac, weather conditions, crowds, and natural effects enliven the tracks. 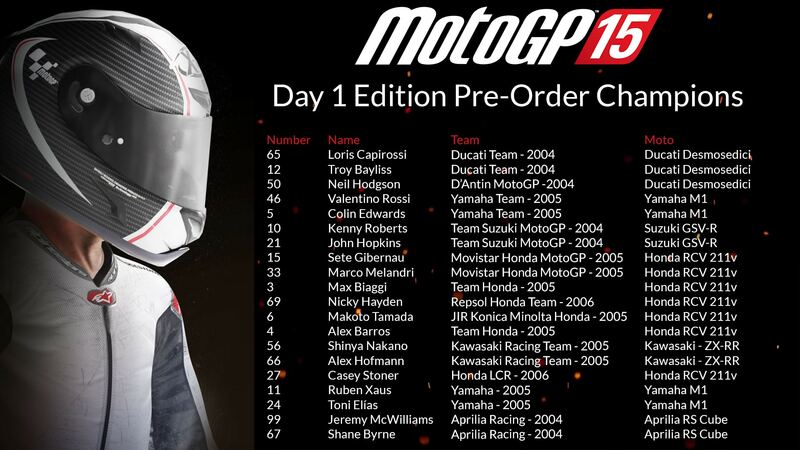 MotoGP 15 contains all of the official riders, bikes, and circuits of the 2015 MotoGP™ season with rosters from MotoGP, Moto 2, and Moto 3, from 2015 and 2014. 200 riders. 122 teams. 18 tracks. Boasting the most accurate vehicle physics in any racing videogame, and with each piece of content, from the bikes to the riders, certified as official, this is the ultimate MotoGP™ experience.